Our latest innovation in bedding. 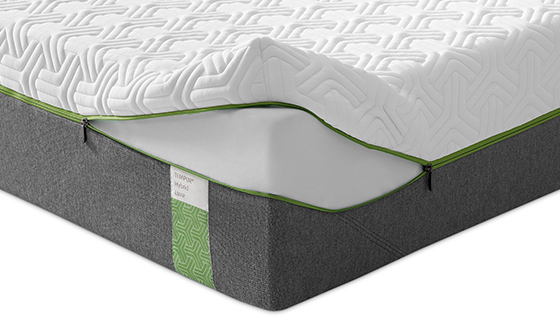 Layers of Advanced TEMPUR® Material supported by precision micro coil™ pocketed springs delivering the best comfort and support of both technologies in a medium feel. We're so confident that TEMPUR® mattresses will give you the best night's sleep of your life, that we're willing to let you try one in your own home for a full 100 nights. So to book your trial just simply place your order via our website today. We guarantee our mattresses for 10 years. In this time it will retain at least 95% of its height, with no lumps or bumps - just outstanding performance for years to come. 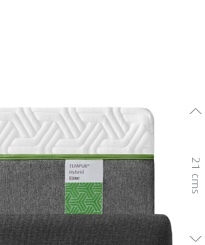 Engineered for the best of comfort, support and movement in bed the TEMPUR® Hybrid features pocketed spring coils and Advanced TEMPUR® Material. 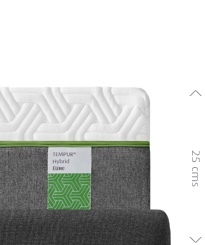 TEMPUR® Material, first developed by NASA to support astronauts during lift-off, provides support where you need it all night long, combined with precision™ micro coils help you move in bed. 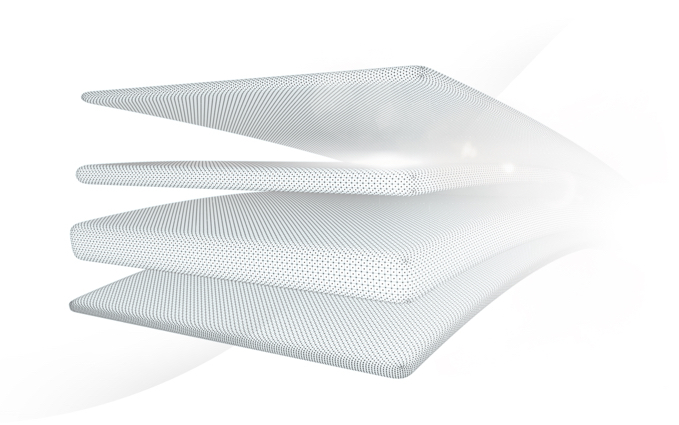 All of our mattresses are made with removable covers washable at temperatures of up to 60 °C. Our Luxe and Elite mattresses even come with QuickRefresh™ covers that feature an easy zip-off top, so you can keep your mattress clean and fresh with minimal effort. WHAT MAKES A TEMPUR® HYBRID MATTRESS UNIQUE? QuickRefresh™ Top Cover - composition: 99% polyester, 1% elastane. Off-white under layer composition - 97% polyester, 3% elastane. Grey side/end panels - composition 70% polyester, 19% mod acrylic, 10% viscose, 1% elastane. Base - 100% polyester. How is the TEMPUR® mattress different? The one thing that all conventional (spring, waterbed, foam) mattresses have in common is that they force the user to conform to them. With TEMPUR®, the mattress actually conforms to the body. But why is this better? By conforming to your body, the TEMPUR® mattress eliminates virtually all pressure points and spreads body weight evenly. Can I try it out before I decide to buy it? YES! With our 100 night trial you can try out a TEMPUR® mattress with pillows, a quilt and a protector if you purchase the TEMPUR® Sleep System. We are confident you will love your new bed, but if you change your mind, simply get in touch and we will arrange to collect your order from you. Currently returns from a UK Mainland address are free, In the event this service is chargeable, the cost would be £72.00. We recommend you retain both your packaging and old mattress until you are certain TEMPUR® is the right sleep solution for you. Please see our Returns Policy for further details. 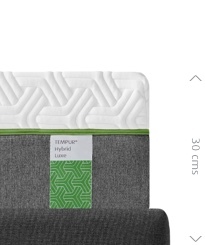 Do I need to turn the TEMPUR® mattress? No, in fact the TEMPUR® mattress should never be turned. 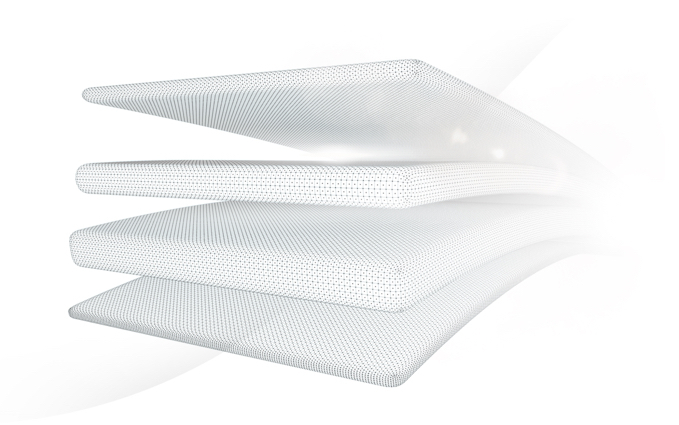 TEMPUR® mattresses have removable covers. How do I look after them? One of the advantages of owning a TEMPUR®mattress from our current collections* is that all models have removable washable covers. In all cases you can unzip, remove and machine wash the whole cover at 60°C. (This task is easier with two people.) In addition our Elite and Luxe models have been designed with QuickRefresh™ tops. This means you only need unzip, remove and wash the top layer which you directly sleep on. It is important when you launder your mattress cover that you always follow the manufacturer's instructions which can be found on a label stitched inside. Should you wish to purchase a replacement or spare cover for your mattress in the future, please contact us for a quotation. We will need to know the exact model and size you purchased to ensure you receive the correct one. We also recommend the use of a TEMPUR-FIT™ Mattress Protector to keep your bed nice and fresh. *Because we are always looking to improve our products, TEMPUR® owners of older models should check the care instructions of their mattress carefully. Some models such as the TEMPUR® Celebrity 31 could have covers which cannot be removed or washed. As a general rule of thumb, if your mattress has TEMPUR® material embedded or quilted into the cover (this applies to the majority of older 'Deluxe' models,) while it may be removed for airing, it is not washable. Any subsequent washing will invalidate your guarantee. If you are not sure, please call us on 0800 0111 083 during regular office hours for further advice. You may also find some use hints and tips on our Caring for TEMPUR® page. Can I use an electric blanket with my TEMPUR® mattress? The actual TEMPUR® pillow, made from TEMPUR® material, cannot be washed. Contact with water or cleaning fluids will damage it. However most TEMPUR® pillows have a removable washable cover. This item can be laundered in accordance with the washing instructions found on the label sewn inside the pillow cover. *Please note for older models such as the TEMPUR® Deluxe Pillow, if the cover cannot be removed do not attempt to wash it. There is a high possibility you will cause irreversible damage, destroying the benefits which the patented TEMPUR® material provides. So, how does it work? What's it made from? TWe get this question often, but in fact, sleeping warm on a TEMPUR® mattress is not an issue that our owners raise frequently. Our mattresses are designed to respond to your body temperature, which activates their ability to conform to your body, offering support and reducing pressure points. It is worth noting that with the improved support and reduced pressure points on your body, sleeping on our mattresses can help increase circulation, so you may find you need lighter bedding. If you feel warmer, try using a lower tog duvet, breathable bedding and keep your room well ventilated. You say I'll toss and turn less – can you prove it? Yes. The TEMPUR® mattress and pillow have been clinically proven to reduce tossing and turning from an average 100 times during the night, to around 17 times. Testing by the Institution for Clinical & Physiological Research at the Lillhagen Hospital in Gothenburg, Sweden of 23,000 patients for a period corresponding to approximately 8 years of clinical and inhome use concluded that the patients suffered from less pain and experienced greatly enhanced and deeper sleep. I've seen references to NASA associated with TEMPUR®. What's the connection? The TEMPUR® material was originally developed in the early 1970’s at NASA’s Ames Research Centre, to relieve the pressure build up from the G-force experienced by astronauts during lift off. TEMPUR® scientists realised the enormous potential of this material and began experiments in the early 1980’s to perfect it for consumer use. After millions of pounds in research, the TEMPUR® material we know today was perfected. As a result TEMPUR® was presented with an award by NASA in May 1998. 1. One of the most reliable indicators of a mattress's comfort is the frequency of night time body position changes - tossing and turning. The fewer times you move, the better sleep you have. 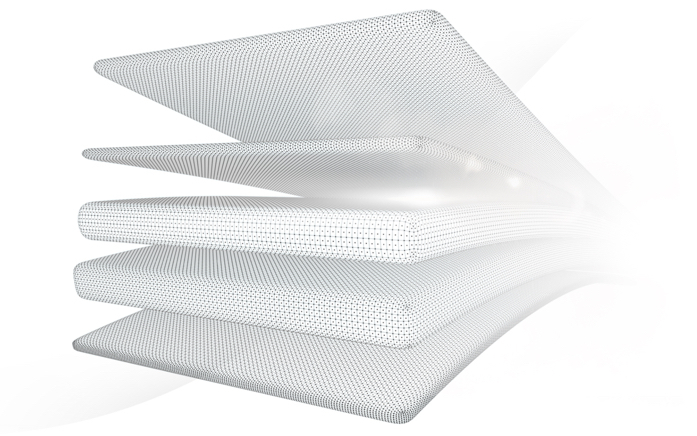 Clinical tests proved that a TEMPUR® mattress can reduce toss and turn by up to 80%. 2. Many people believe that waterbeds give you almost perfect support by allowing your body to ‘float’ in a natural position. In fact, due to displacement the waterbed creates what experts call the “hammock effect.” This is an unnatural and unhealthy curve of the spine resulting from improper support. The TEMPUR® mattress allows your spine to rest in its natural position, giving you optimum sleeping posture and comfort. 3. Fully sprung mattresses covered by quilted thickly padded ticking mean you are lying on row after row of coiled sprung metal. This often creates pressure points that can cause painful joints and an aching back. The visco-elastic material in the TEMPUR® mattress moulds to your body, adjusting to your body weight, and distributing it evenly, reducing pressure and providing maximum support. Our TEMPUR® Hybrid Collection incorporates Precision™ Micro Coils in the base layer for those customers who prefer a faster response, but want the benefits that TEMPUR® material brings too. 4. Several copy visco mattresses are available today, but they are not visco elastic and do not have the 85kg density of the TEMPUR® material or its durability of 10 years. The TEMPUR® open cell visco-elastic material moulds to the exact contours of your body, giving you maximum support and pressure relief where you need it most. Our mattresses are tested to last, so we offer a free and full 10 year guarantee. We offer free delivery on all our mattresses. If you are not satisfied with your mattress, we will come and pick it up. 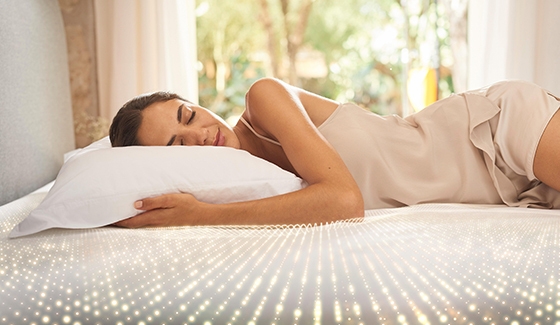 Absorps excess heat for a cool night's sleep. An exclusive mattress range for Dreams. Firm and so comfortable but heavy it’s a good job I don’t have to turn it, It’s great to have a removable cover that’s washable. Excellent divan, quite easy to move for cleaning the floor when required, massage feature handy if required.